Ever since I was little, I mean really little, I have enjoyed "The Wizard of Oz". I can recall being about 4 or so and being frightened of the flying monkeys, the Winkies and of course the Wicked Witch. I also remember we had this old copy of the Wizard of Oz book in the house and I remembered how different it was than the movie. Oz is a fascinating place really, and I was amazed the first time I learned how much of it was there beyond Dorothy and her friends. I learned about names like Mombi and Ozma. I will admit I have always wanted to put a "pumpkin head" in my games largely in part due to "Journey Back to Oz". In my WitchCraft games we also used to call witch hunters "Dorothies". So I was thrilled when I heard of Douglas Wall's Adventures in Oz RPG. It is, like the literary Oz, a great game for the younger set. The rules are fast, simple to learn and you can be up and playing in no time at all. They game is also really, really fun. If you never play it, the book offers a good resource to using Oz in your own games. I think Oz is a bit under rated to be honest. It's not the drug referenced lands of Alice or even the purely fantasy of Peter Pan, it is, in a way, pragmatically American. But it is fertile land as well. It gave us "The Wiz" and "Tin Man" and of course, "Wicked". I never saw Wicked on stage, despite living in Chicago. I did read the book and enjoyed it. The world of Wicked is not exactly the same as that of Oz. The names and places are familiar, but there is some differences. Most notable is the character of Elphaba. Elphaba is the Wicked Witch of West. Though here she is a smart, green skinned young woman with a talent for sorcery and getting into trouble. In the musical (and in the book) she is friends with Glinda (the good Witch) and learns that the Wizard is nothing more than a fake. She fights against the Wizard, and for animal rights. Falls in love. Creates the Scarecrow and Tin Woodsman. Plus she is the protector of her younger sister Nessarose, aka the Wicked Witch of the East. 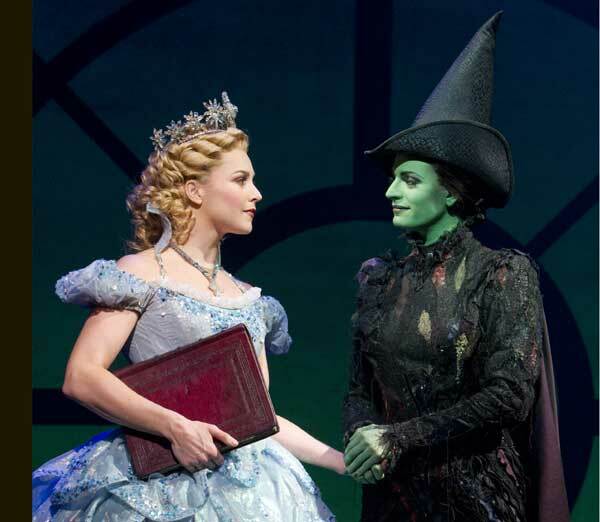 The main feature of the musical (and the book to a lesser extent) is the close friendship that Glinda and Elphaba have. After all, check out those posters for the musical. Running a game in a "Wicked" version of Oz is not that difficult. It just takes a bit creativity on the Narrator's part. Elphaba also possesses the Grimmerie, the most powerful book of magic in all of Oz. She can cast any known spells and only Glinda is her equal in magic. She also made a pair of Ruby Slippers for her sister to help her walk (takes the place of the Silver Slippers of the game and novels). 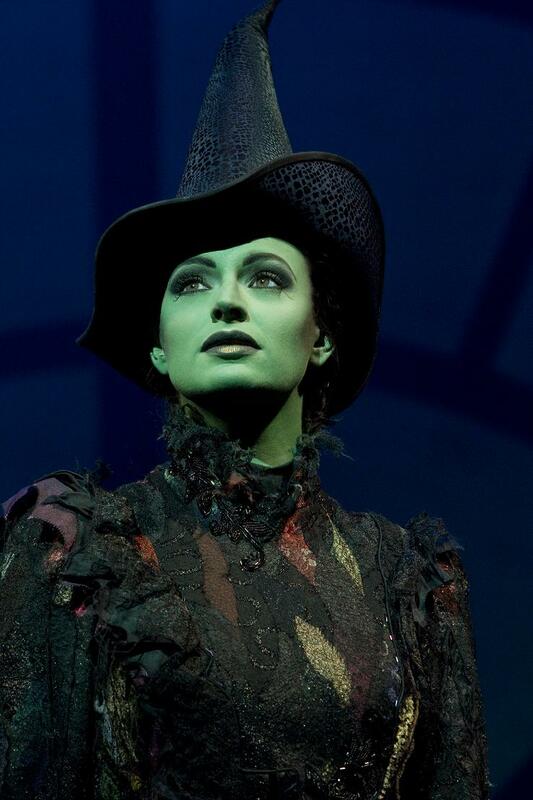 In musical Elphaba is the daughter of the Wizard, so she is both of Oz and Earth. Despite rumor to the contrary she has no particular dislike of water. Playing in this world the characters could encounter Elphaba since after her supposed murder she found a life outside of Oz. Maybe even in the desert. Thank you so much for not only mentioning my Kickstarter, but statting up a character using my system! And I see what you did there with Yookoohoo Magic. I have been wanting to do something with your game for a while now AND I have been wanting to stat out Elphaba since I read Wicked last year. This was a good way to do both. I hope everyone gets a a chance to try out your game and participate in your Kickstarter. Ix and Mo are both on the list. And if you were disappointed by the lack of Orks and Nomes in the main book, that will by corrected in this supplement.